Collaborative file sharing is an essential part of team efficiency and productivity, but unfortunately it can be troublesome and messy. In the past, when employees needed to collaborate on a file, they would each save a copy on their local machines and then email it to each other each time changes were made. This system creates several issues. For example, there are now multiple versions of the document. How can you tell which one is the most recent? Also, it may be difficult to track down documents, and waiting on a co-worker to email a document can sometimes create a bottleneck in the work flow. Using shared folders solves some of these problems, but creates others. 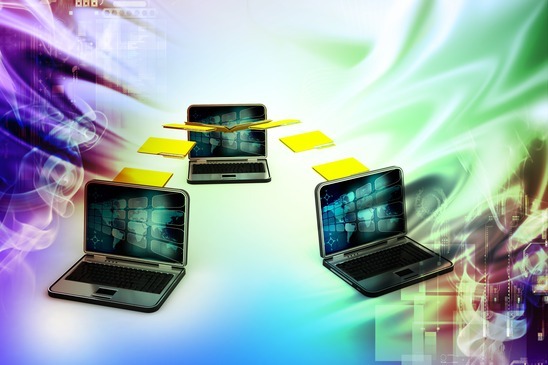 A shared folder eliminates multiple versions of a document, and all personnel have access to the most updated version on demand. But anyone who has used shared folders knows they can quickly become disorganized, as filenames are not standardized, and the choice of folders for file placement may not be intuitive to each user. At Tolar, we encourage you to consider this ideology shift when it comes to corporate data management and collaborative file sharing. Microsoft’s Sharepoint is a collective content management program that addresses the problems that derive from using shared drives and cloud services. Shared drives are much like a digital filing cabinet with limited organization possibility. Accidentally deleting files, misplacing files or losing them are common problems with shared drives. Clearly, this is extremely frustrating and time consuming. The other side of the coin is gross duplication of files, which clutters and reduces the speed of the drive. Sharepoint addresses this issue by allowing multiple people access to a file at one time. They can amend the file without having to introduce a duplicate. This simplifies finding and editing files and maintains optimal drive speed. Searching and organizing files in shared drives is another issue, mainly because there is no attached metadata. Attaching metadata is not even an option, and this makes organizing and gathering files a potential nightmare. Sharepoint, on the other hand, relies on the metadata attached to each file. This metadata allows the user to connect each document with key words, which makes file searching easier and more successful. With most cloud services the use, creation, modification and deletion of files is not recorded, and is therefore, irretrievable information. This leads to an overall lack of file management. Microsoft Sharepoint logs all activity for each file. Pulling up the history of any file and keeping numerous files organized is simple through Sharepoint. The previous problems with shared drives and cloud services cause an exponential storage issue.Unnecessary file duplication and overly complicated file management fills up space quickly, which causes your business to need additional storage space sooner than expected. Sharepoint’s filing and metadata system are built to combat this detrimental characteristic by terminating the need for multiple files. Sharepoint not only saves in time and efficiency by streamlining collaborative file sharing, but it also saves companies money on file storage. Shared drives and cloud services have been a step in the right direction, but the business world has desperately needed a solution like Microsoft Sharepoint to solve these issues with collaborative file sharing. Contact us today for a consultation on your company's data management system!